Here is a video to walk you through the Create invoice and make a payment. You can Scroll down for Step directions. To create an invoice, select Create Invoice from the billing menu. A list of active students will be shown. 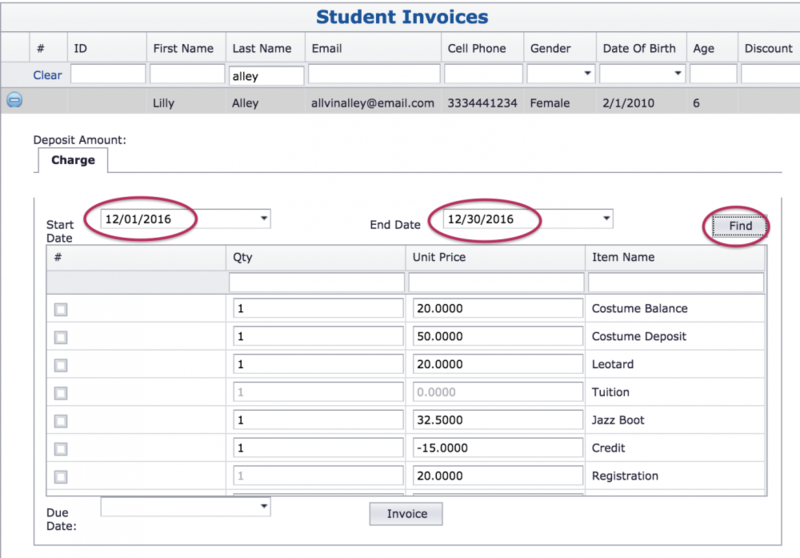 Select the student to be invoiced by clicking the Plus sign by their name. The Confirmation box helps you to navigate to what you want to do next.